Disclosure: Images that appear in this article were taken from one of three sources: vkbcontrollers.com website/store marketing materials, an Imgur album that rrohde (maintainer of vkbcontrollers.com) released when he received his first copy of the final product or from photos I have taken for this article. Also, I am neither a great, good or okay photographer . 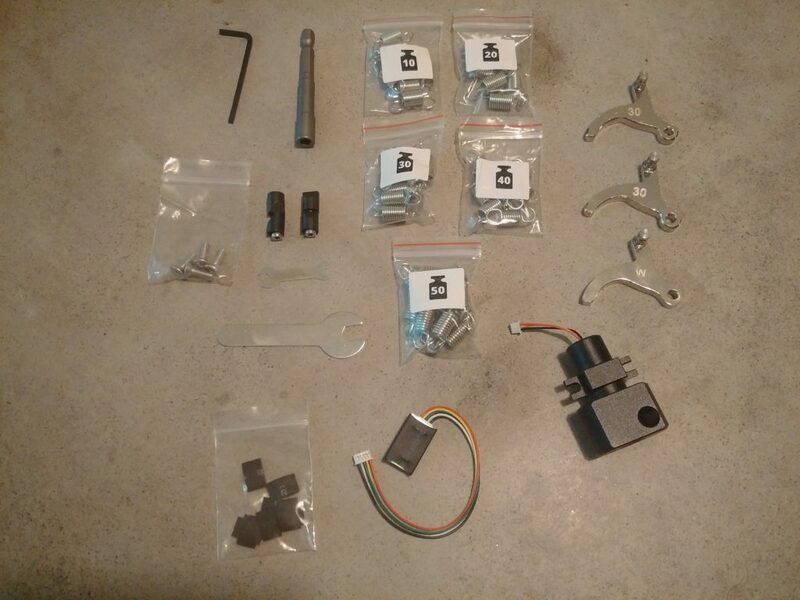 The hardware being reviewed was purchased by the author for personal use during a pre-order period from vkbcontrollers.com in March 2017 (and received in June 2017) for $460 US (~$640 CDN). I have been using my Thrustmaster Warthog for … Wow! Seven years??? It has been my go-to flight stick and throttle combo for virtual flying since October 2010 when it replaced my CH Products setup, itself a collection of controllers that had been working well for … lets just forget about how old I am, shall we? Ahem. 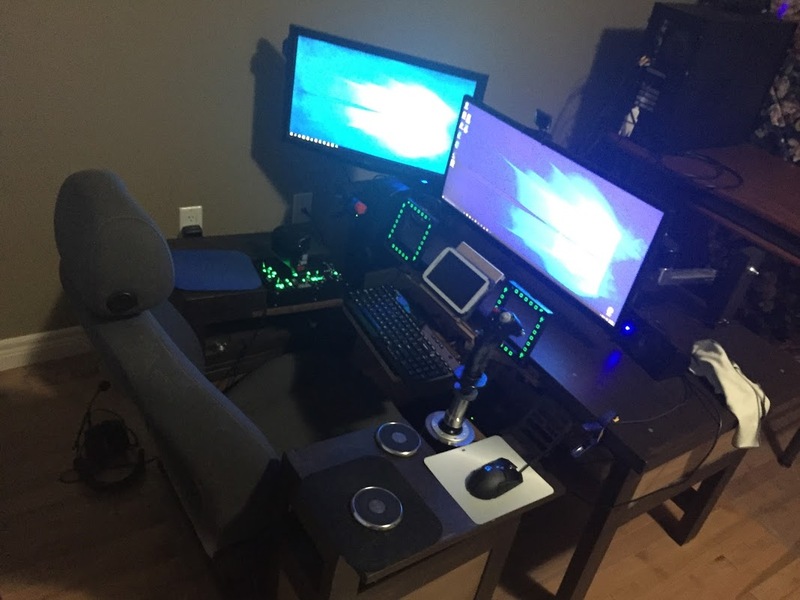 My setup as of early January 2017: Thrustmaster Warthog (plus extension), Thrustmaster MFDs, Saitek Combat Pedals, Track IR. Over the past few years I have been recognizing some stiction issues in the base of the Warthog joystick. I had been holding out for Thrustmaster to announce a new updated combo but after their 18 April 2016 event, I was not confident that anything was on the horizon for some time. Browsing the DCS forums and the Hoggit sub-reddit I happened upon an announcement of VKB opening another North America online store. 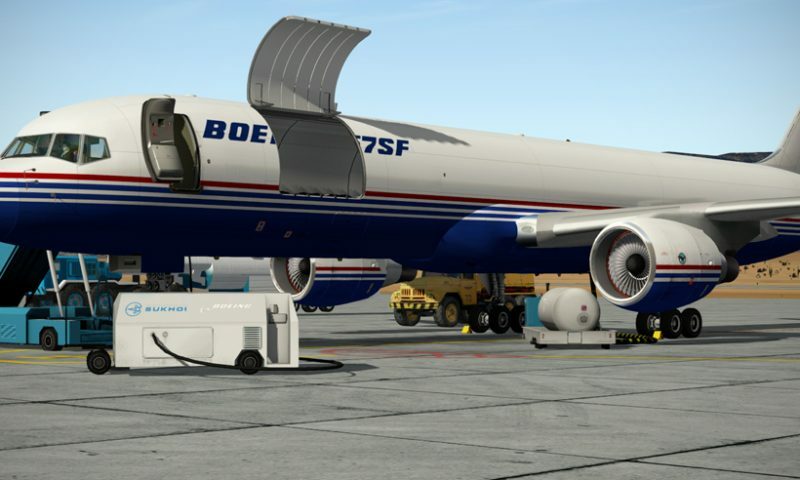 I had seen their products from time to time on various flight sim sites and was familiar, albeit from afar, with the various Gladiator, Fat King Cobra and Mamba versions. 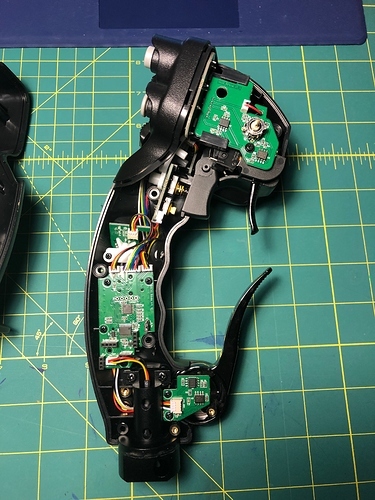 Along with that discovery was the announcement of a new combat flight stick (technically a new design for the base that VKB will use for upcoming flight sticks): the Gunfighter and Gunfighter Pro. Lets get down to brass tacks … or in this case a well-engineered flight stick base that earns the title of ‘pro-sumer product’. 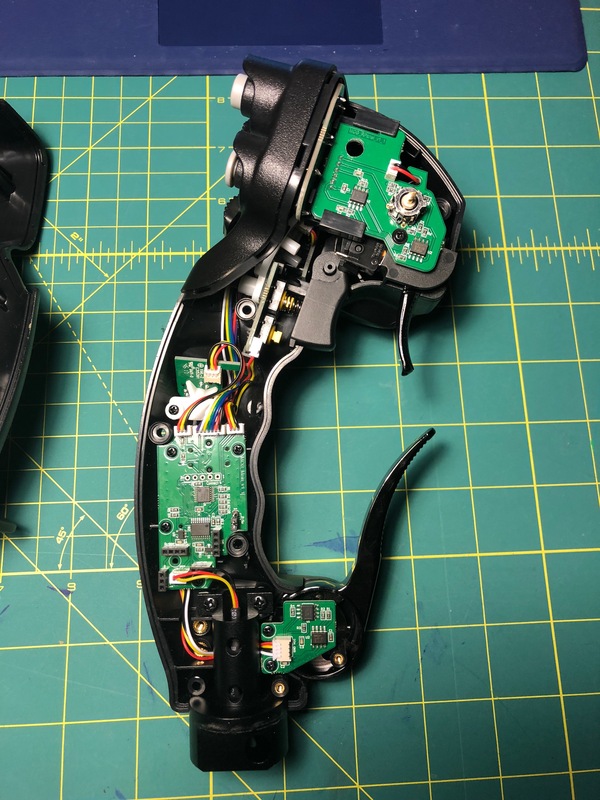 Rest assured, I am not trying to be pretentious but Gunfighter requires the customer dismantle the base to properly configure it for initial use, something that is beyond what I would consider a general consumer product. I pre-ordered my combo set (Gunfigher Pro + Knuppelgriff KG12 replica stick – known as the “Gunfighter Vintage Edition”) in early March 2017 as a birthday present for myself and received the unit in middle June and have been using it ever since – $359.00 US (+ $40 for the Thrustmaster conversion kit) + shipping and handling ended up costing me $640 in Canadian dollars . The Gunfighter Pro set (as seen above) currently comes bundled with the Knuppelgriff KG12 replica flight stick, used in the BF-109 series of fighters. 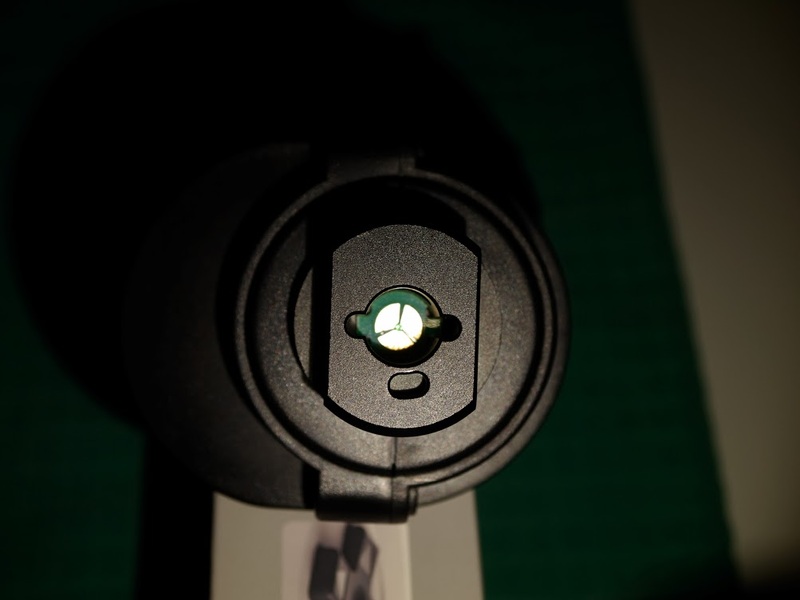 The stick has 12 buttons – one 4-way hat switch to the left of the centre mounted weapon release button, one fold-able trigger plus a pinky ‘shift’ button. It is made of plastic, though the quality is very good and solid with a metal fold-able trigger which is able to flip-up and cover the weapon release button (providing safeties for both). I did take the KG12 for a short spin and it behaved as expected. It felt generally good to handle. The plastic is of a type that feels on-par or better that all of the plastic options available today (Saitek, Logitech, CH Products, etc). The buttons provide good tactile feedback and are well positioned, though if you have smaller hands the pinky ‘shift’ button may be a challenge to depress and use as a shift function while fighting in those hostile virtual skies. In short, this is the part I liked least, though through no fault in design or implementation; I am used to the level of button complexity that extends beyond the stick design of most World War II aircraft. 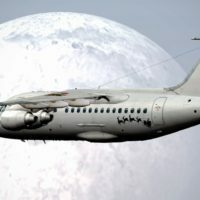 If I was flying a WWII aircraft regularly, in IL-2 Sturmovik: Cliffs of Dover or the more modern IL-2 Sturmovik: Battle of Stalingrad/Moscow, this would be an excellent choice for me to use … and actually it still is in DCS if you are willing to swap the stick depending on what you plan on flying. This is not intended to be read as negative against the Gunfighter but if you see it as such, spoiler alert, there is a Modern Combat Grip (MCG) being designed that will be available in place of the Gunfighter KG12 – available for pre-order in it’s own bundle, known as the “Gunfighter Modern Combat Edition”, on October 1, 2017. More on this below. This is the part I was most interested in. This part comes in two ‘editions’: the Gunfighter and the Gunfighter Pro. The difference being that the Pro has the smaller base plate, the stick extension and is meant for center-mounting the device between your legs (giggity). 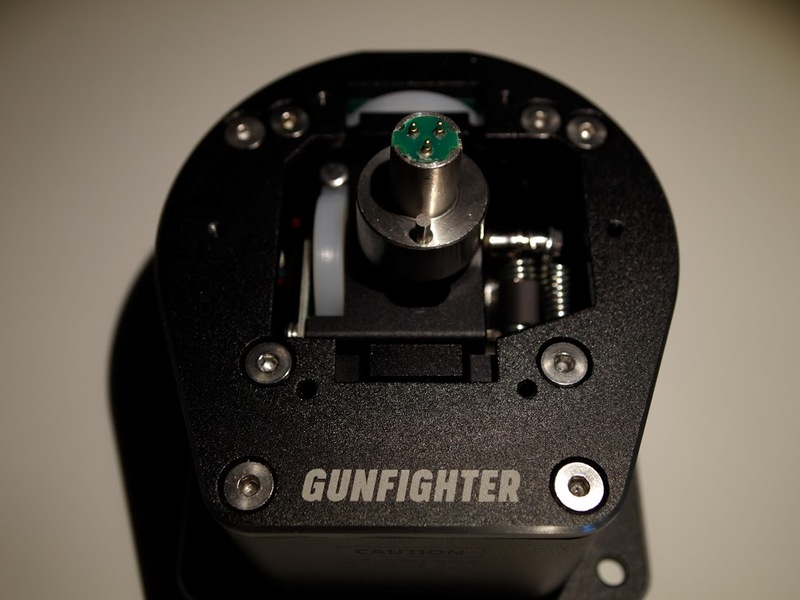 The Gunfighter base contains the MaRS axis sensors (magnetoresistive sensors), a set of gimbals, bearings, springs and force-adjustable dry clutches that provide rotation and restriction around the X and Y axes. The gimbals are curved, giving good feedback on how far they have been displaced from centre through increasing resistance, acting like a physical curve with increasing resistance the further you get from centre. Coupled with the springs (or pairs of springs) attached to each gimbal this leads to some interesting configuration options if you want to tinker. The set comes with a few gimbals of various curve configurations, including one specially intended to strengthen the pitch axis if you put the heavier Warthog stick on in place of the KG12 (more later) in the Gunfighter base with the stick extension. 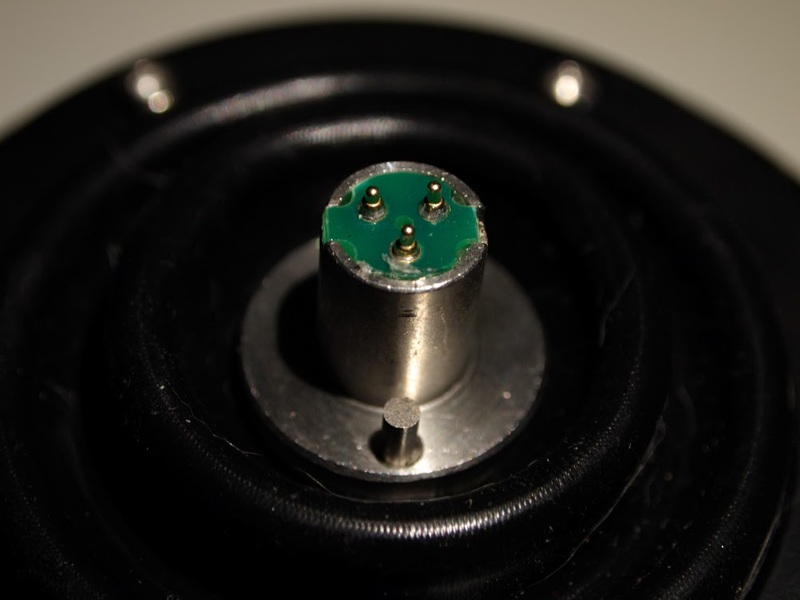 For that you have to pull apart the base, carefully remove the springs (which are obviously under tension), and swap either the cams, springs, or both. And there are a good selection of these in the package. These ‘clutches’ allow the user to change the friction of the stick’s movement along its way of travel. This lets the user overcome a spring-loaded stick’s tendency to return back to center – which might be especially useful during helicopter flight (or wherever else desired). With the right amount of friction configured, the stick will stay put where the user wants it to stay – even off-center! With this innovative new feature, the Gunfighter series of controllers will enhance the realistic overall feeling of VKB sticks even further – the Gunfighter’s stick movement feels “heavier”, and the added friction prevents oscillations when letting go of the stick. Starting to disassemble the base (ring and rubber gasket removed), next is to remove the 4 outer bolts. You can see the plastic bits of both dry-clutches. To remove the stick from the base you need the Allen/Hex key that comes in the package to loosen a screw to remove the insert. 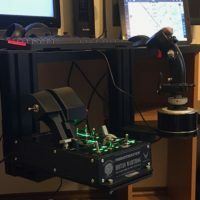 It would take about the same amount of time to swap a stick on the Gunfighter base using this configuration as it would on the Thrustmaster Warthog (given that you were able to find the Allen Key from the clutter on your desk before you started). I feel, however, that the Gunfighter design is sturdier and has less chance of potential failure from over/under tightening. Gunfighter all upside down, presenting its naughty bits. 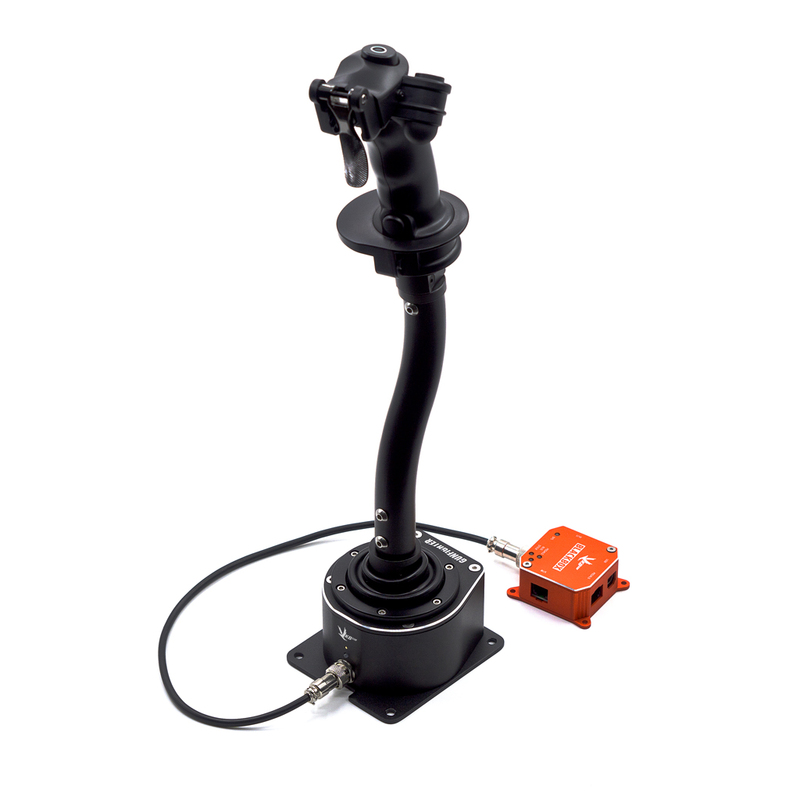 One additional characteristic of the VKB Gunfighter system is the ability, through the purchase of a kit, to adapt the Thrustmaster Warthog stick to fit on the VKB Gunfighter base. 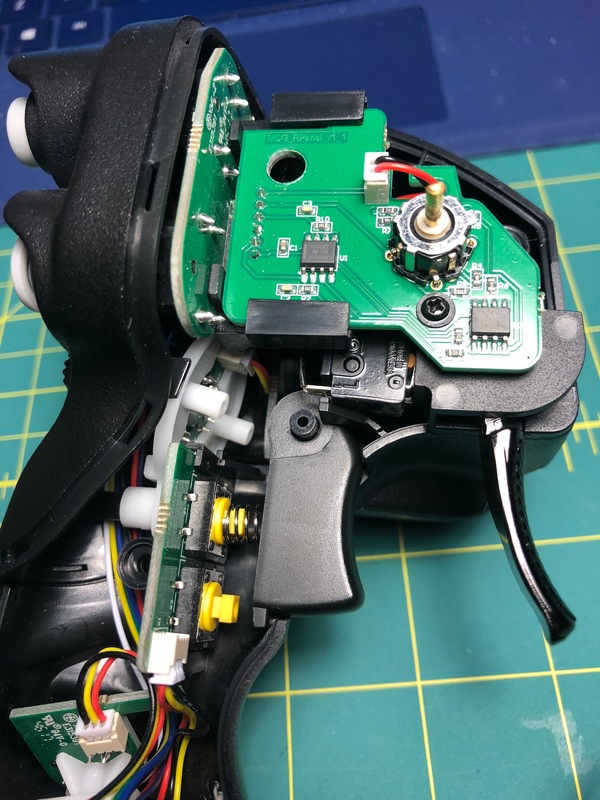 If you have a Thrustmaster Warthog stick and you are willing to separate the stick from it’s base (easy) and open it up to augment the internal electronics and replace the hardware connector with a VKB designed adapter (hard – but not as hard as it might seem), this provides an alternative configuration option to the KG12 – at least until the Modern Combat Grip (see below) becomes available. As I mentioned above, my Warthog has long satisfied my flight sim requirements. Although it is an expensive piece of hardware, repeated use has begun to show its age and the limitations in its design. At some point in the future it will likely be replaced with a new model (as we now know, based on the F-18) but I do not expect that the model to be greatly improved – in layout, yes, but in implementation the builders are limited to the price that the market they are targeting is willing to accept. I will be happy to be proven wrong. VKB, on the other hand, is pushing to capture a piece of the premium market. The expectations of customers in this market segment means that not only can they afford to choose a design that has higher tolerances and design goals but that they are required to. Few are going to spend those premium dollars, euros or rubles on a product that does not meet their design expectations or push beyond the boundaries of the competing products. For some this means premium design, parts and fit-and-finish while for others this means additional functionality. 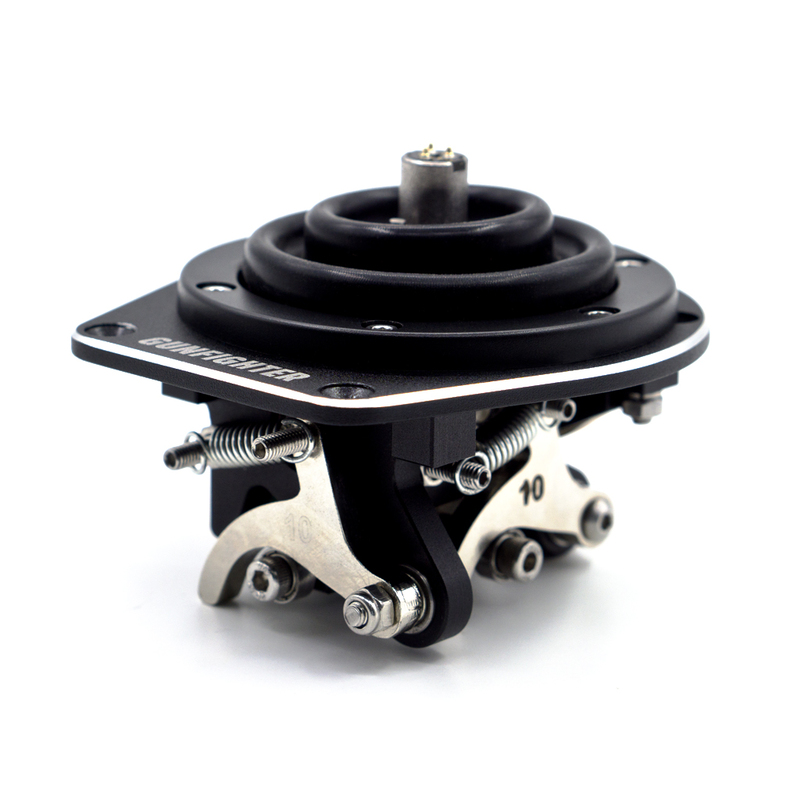 The VKB Gunfighter base is in the former design-and-parts category offering a gimbal mechanism that is well-engineered and well implemented. VKB Gunfighter base sporting the Thrustmaster Warthog stick. So, yes. It is expensive. My main flight sim at the moment is DCS. I did have to take time to remap all of the old stick configurations from the Warthog to the VKB device but after a little work all of the assignments and relevant axes transitioned to the Gunfighter. After a few months of flying with this configuration I never want to go back. I have flown almost all of the aircraft I own in DCS with the Gunfighter base and in every case it provided a better flight experience. Helicopters: the UH-1H, Mi-8 and the Gazelle all felt fabulous and in all cases I felt that I had enough detail in control to match or exceed what the Warthog provided. For World War II and Korean era aircraft the same was true with the added feature of physical feedback provided by the cams/springs when I started pulling too hard, something that surprised me as it helped me understand the energy impact I was imparting on the virtual aircraft. The same goes for the more modern jets – the physical resistance that the cams/springs provided was both useful and educational. 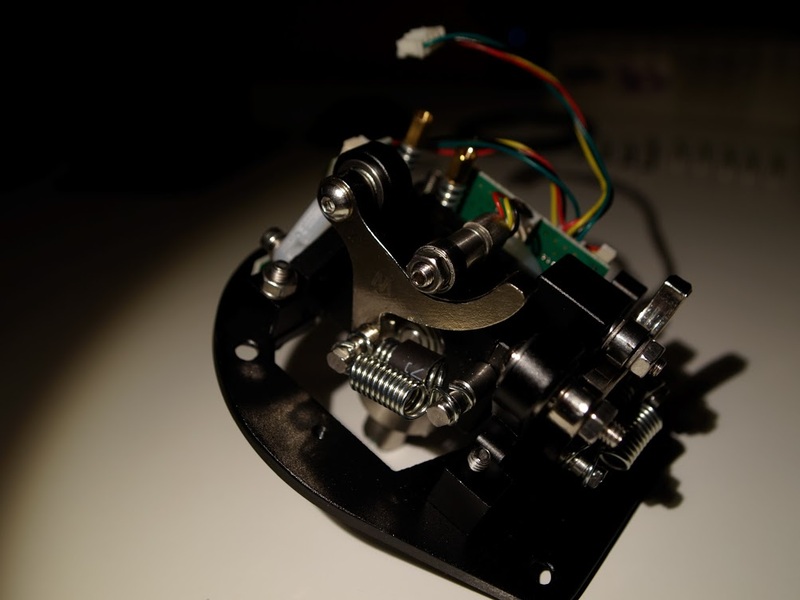 Side-on view of the Gunfighter mechanisms. The inverted ‘W’ in the cam denotes the recommended Warthog cam that helps keep the heavier stick from tipping forward (required if you use the extension). One additional metric that I think bears noting concerns Air-to-Air refueling – a procedure that requires fine control and gives way to Pilot Induced Oscillation (PIO) if you do not stay on top of it. This has been my nemesis and a source of much, much, much cursing, swearing and name calling. There are members of our casual multiplayer crew who are good at this and traditionally I have been bopping and weaving my way behind a tanker in an awkward, at times hilarious, dance. I never was able to practice much without getting frustrated and quitting; secretly I always wondered if it was the hardware and not me. I am going to give some credit to the VKB Gunfighter here as the smoothness of the gimbals/cams has made me into a somewhat adequate tanker (at least until you throw in wind and nighttime). 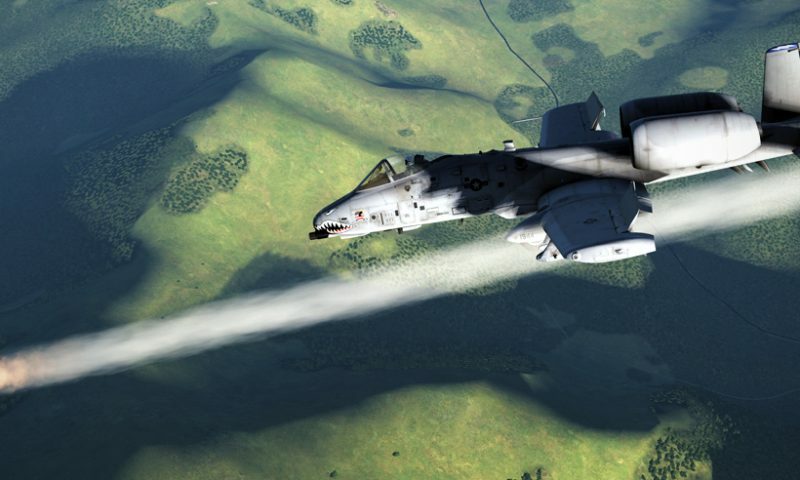 I feel (an obvious, biased opinion) that the stiction issues I was having with the Warthog were preventing me from the ‘pleasures’ of Air-to-Air refueling. Obviously, I can in no way measure this. My Warthog already went through the modification procedure and I can’t see me doing that a couple more times without something going wrong. With regard to the software, I can find few complaints. I am not one to take advantage of the complexity available in the Thrustmaster T.A.R.G.E.T. software, preferring to keep it simple and let the sim take care of things for me. I am not adventurous in implementing my HOTAS software configuration. The VKB software is relatively straight forward, allowing you to update the firmware (which I did do) and tinker with some settings ( which I left well enough alone). With DCS, I feel that the software is good enough to get you up and operating with little involvement, given that DCS takes care of most of this for you. Others, who might use older sims like Falcon 4, might find this level of software-based configuration lacking. If you have questions please let me know and I will take some time to explore this area to see if I can address your concerns. For me, it is functional and unobtrusive. First it should be noted that VKB has produced a new revision (Rev B) of the Gunfighter. The revision is a modification of the base design for any purchase made on or after 1 October 2017. This revision moves the pins from the base into the stick, and the contact points in the stick out to the base. If you look closely at the next picture you will see the three little pins sticking out of the metal coupler on the base – in Rev B these pins sit inside the metal housing/coupler on the stick. 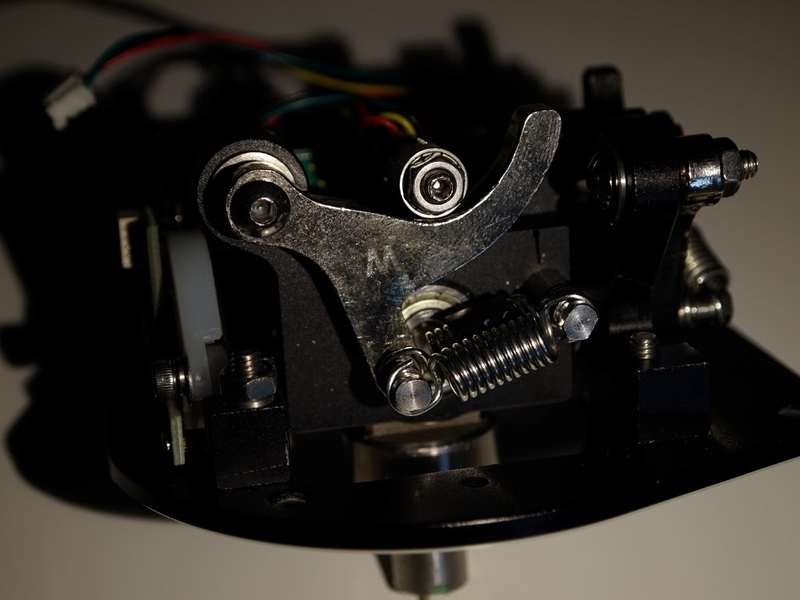 In the picture below that you can see the three contact points that sit in the housing/coupler on the stick. VKB has promised to support both revisions going forward. The bigger news is the impending release of the Modern Combat Grip (MCG). This grip is modeled after the one that is found in the Sukhoi Su-57 (aka: PAK-FA) and it is … complex. It has more buttons and axes that I think I have ever seen on a stick. The MCG will be available for the original and Rev B models of the Gunfighter and a legacy 5-pin version for the Vintage Mambo and Gladiator Pro Mk.I – showing that VKB is serious about trying it’s best to support older base hardware. The MCG will also be available in 3 versions: a Thrustmaster base-compatible version, a MCG version and an MCG Pro version. Each of these versions has slightly different button/axis combinations, each giving a slightly different flavour of functionality. The MCG (and MCG Pro) will also be available in bundles with the Gunfighter and Gunfighter Pro. In addition to these MCG configuration options, VKB is working on a left-handed version and an adaptor that would sit between the MCG stick and base to add a twist, or rotation, axis to the MCG and MCG Pro versions (but not the Thrustmaster compatible MCG as the Thrustmaster base does not allow the axis to function). These features are targeted at the space-sim community but left-handers would be able to take advantage of this love. Pre-orders have been announced for 1 October 2017. There is a good chance that I will be doing my best to get one, if my F5 key and wallet can keep it together . 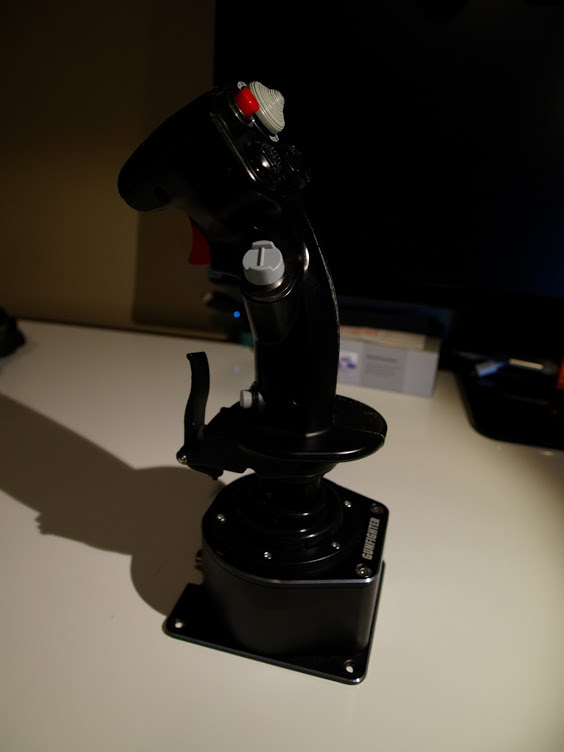 All in all, I am happy with my purchase of the VKB Gunfighter Pro and Knuppelgriff KG12 replica flight stick. Granted, the KG12 will likely sit on my shelf with my retired CH Products and Saitek devices but it will also sit there with my Warthog base. 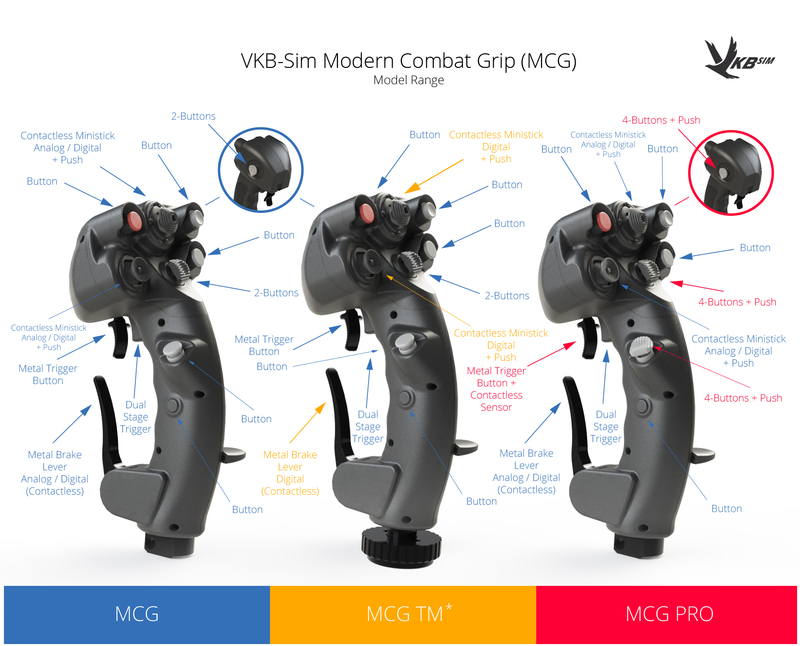 Given the upcoming bundles with the Modern Combat Grip I would have no hesitation in recommending the VKB devices as alternatives/upgrades to the Thrustmaster Warthog or for anyone looking to invest in a flight setup that will sustain them for some time. 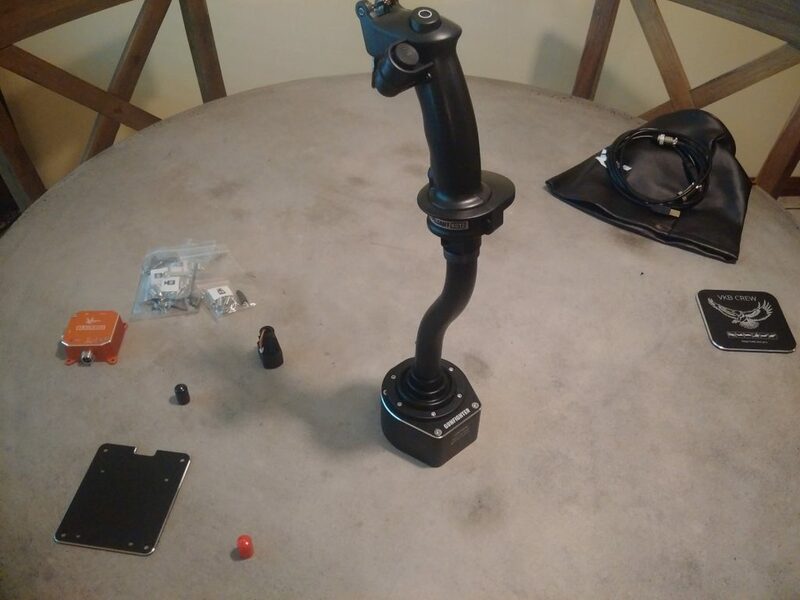 If you are in the market for a premium flight stick, or are annoyed with the stiction issues showing up in the current generation Warthog, I would strongly recommend the VKP Gunfighter. After the 1st of October, a combo with the Modern Combat Grip would be my choice. I have not had the opportunity to use the Virpil VPC Mongoos T-50 product, so I can not in fairness comment on the differences or comparisons between the two products, but I would recommend reading @Trolls’ review. It’s the Late Summer of HOTAS’s here at Mudspike! (I just made that up). Nice review @Fridge, and am now in some serious wallet staring with the October 1st pre-order of the Modern Combat Grip coming up. If I ever can’t refuel in the Su-33 I now know the reason is because I have the wrong stick. 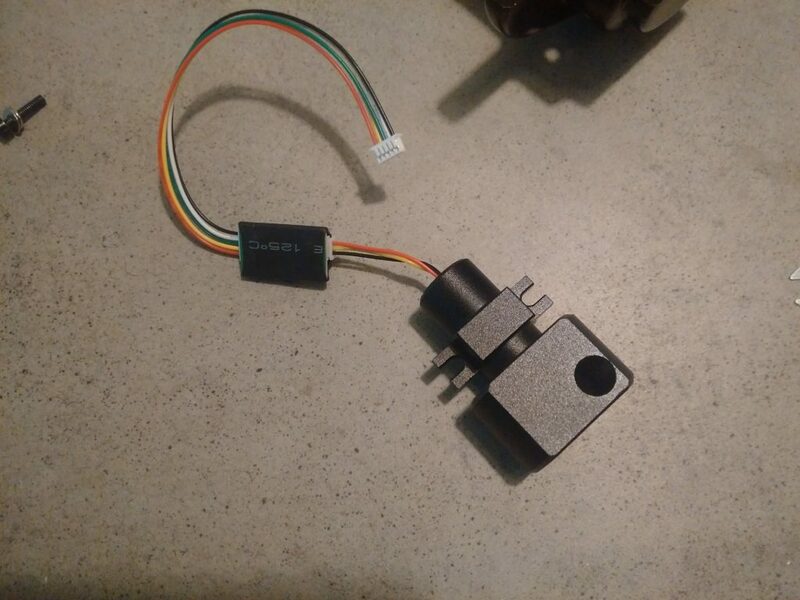 Does anyone know if VKB ever plan to do throttle units as well (as in, if I’m going to remortgage the dog, I might as well go full on 40 year loan term)? Nice review Fridge! In a week hopefully I can add more fuel to the neo HOTAS revival that this year has been when I get home and get my VPC Mongoose set up! Slightly jelly of the pro version of the MCG grip and its four freaking hats/ministicks with Z-axis. There is. I believe that it is the next product in the design queue after the Modern Combat Grip (and the left hand/space sim variants). 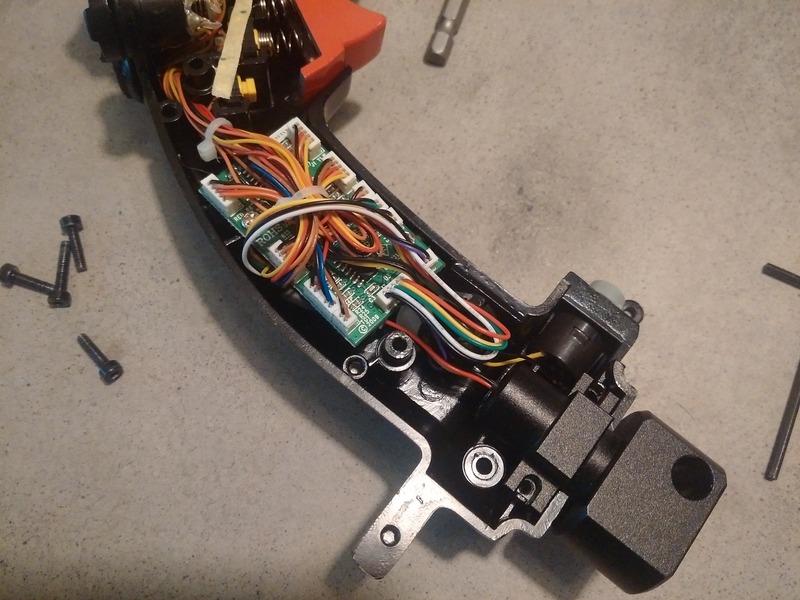 I found the feature list for the VKB-Sim Vintage Throttle Control System here: https://vkbcontrollers.com/?product=vkb-throttle-quadrant. 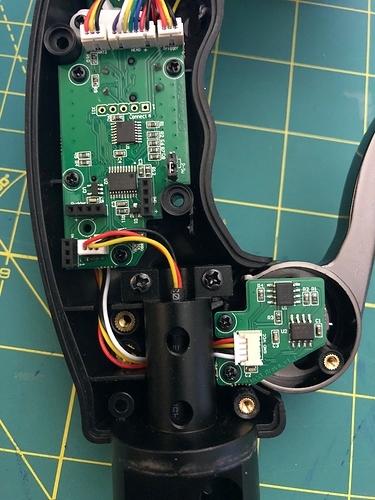 It is looking like a two axis throttle (2 engine) with a “swapable grip design” with some “modular options”. I think that it is not going to happen ‘soon’ (ie: 2017) but likely a product for 2018. The “Vintage” part, combined with the “modular options” and “swapable grips” has my imagination all in a frizzy. Obviously we will see more when it gets closer to release. You mention the older VKB sticks and I noticed a typo somewhere where you wrote «mambo» where it should be «mamba». I am not one to take advantage of the complexity available in the Thrustmaster T.A.R.G.E.T. software, preferring to keep it simple and let the sim take care of things for me. I am not adventurous in implementing my HOTAS software configuration. The VKB software is relatively straight forward, allowing you to update the firmware (which I did do) and tinker with some settings ( which I left well enough alone). VKB Device Config allow much more than update firmware and settings like deadzone, e.g. 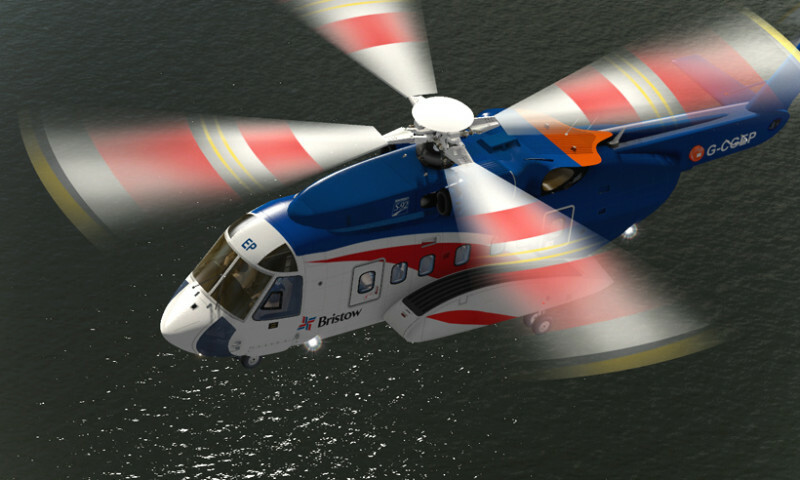 Helicopter trim freezing the axes in a given position by press a button. And more… without use software running in games background (TARGET, Manager…), all is saved in controller EPROM memory. All explained… in Russian only. Is the difference between the $269 and the $329 pro editions just the extra folding trigger axis or is it something more? That’s the Gladiator series base. Not sure what the technical differences are between that and the Gunfighter base, which is their newer base. 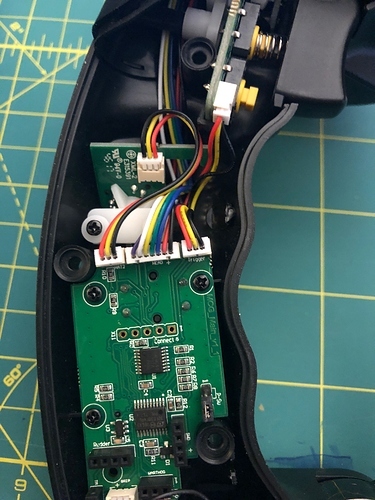 So that’s 6+3 extra buttons on the MCG Pro over the MCG plus the contact less metal trigger sensor. Oops, yeah, I mean the $399 on with the newer base. Hmm, that CMS just being a button is a bit of deal-breaker. Looks like Pro or nothing. Yeah. It was the same for me. The extra buttons will be a nice addition … unless my mind can’t handle the mapping … but the CMS is pretty much a requirement. That is one very expensive stick. It’s about the same as the Mongoos - and it’s just too much for a single joystick. In the UK, it would be £300 if sold at the proper exchange rate (of today) for USD to Sterling, plus 20% VAT and postage. Yep, it’s a gulp worthy price. In Canadian dollars it is (including shipping, customs etc), well, pretty much all of them. It is a lot of money for a stick for sure. Our neighbors on the left love boats, and was chatting to him yesterday about how he spent $600 on a cleaning solution for it (literally a gallon tub of something). The thing is sort of a souped up speedboat and spent the last two years parked on their front driveway, untroubled by going near any water. It did make me feel better I don’t really like boats (or rather I like other people’s boats). The same question for you @Fridge, what are your thoughts after 6months? Wow! I guess I missed this post back in April. Short answer: I still like it, more than the Warthog stick. There is a little centering issue where the stick attachment point to the base is a little off center but it is barely noticeable and the software ‘corrects’ for the ‘new center’. If I didn’t look for it (and I happened to be replacing the springs to adjust the tension when I noticed it), it wouldn’t stand out. I did have a little trouble with the stick attachment point to the base, on the stick side. I noticed last night that there was a little play around the base of the stick (not in the base itself but in the mechanism that they use to attach the stick to the base. So, tonight I decided I needed to do a little maintenance and see what was going on inside. VKB MCG Pro with only half it’s clothes still on. Detail of the head. Looks like a fine piece of engineering to me. And finally detail of the base. As you can see in the last shot, the cylinder at the bottom (vertical with two holes along it’s length) has three wires coming out of the top. This is the top half of the mechanism I was mentioning that attaches to the base. The two screws at the top hold a metal bar attached to the cylinder to the stick and this was the part that was loose. Tightening those two screws was all that was required to make the stick firm and solid again. This was an easy fix that required two screwdrivers (both phillips (x)). To get the casing off there is one screw that requires a longer, slim screwdriver but none of the screws were a problem. Make sure you use the right size driver so that you don’t strip or damage the screw heads. Also, I noticed no wire pinch points in the stick. It was as easy to assemble as it was to disassemble (according to the instructions in the link above). After them naked pics I need a cigarette…and I dont smoke for 8 years now! PCB green has got to be the sexiest color, ever. And just look at all those neatly routed leads!